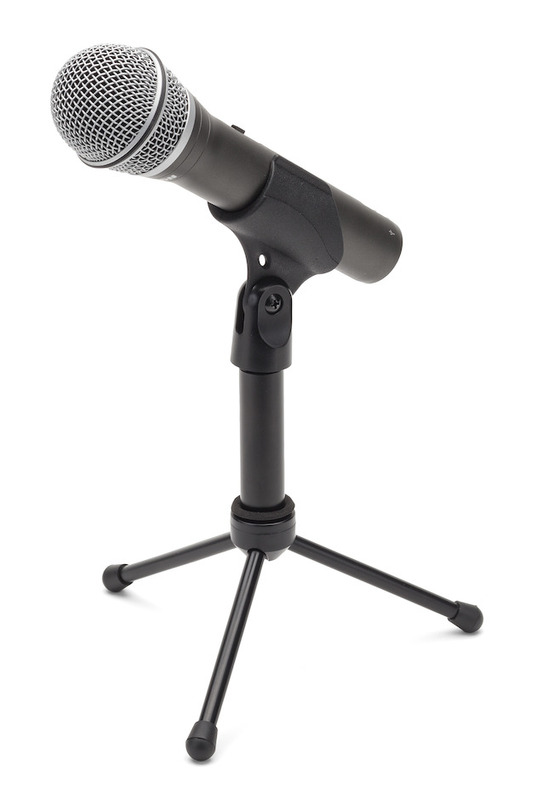 Q2U combines the convenience of digital and analog audio capture into one dynamic microphone. 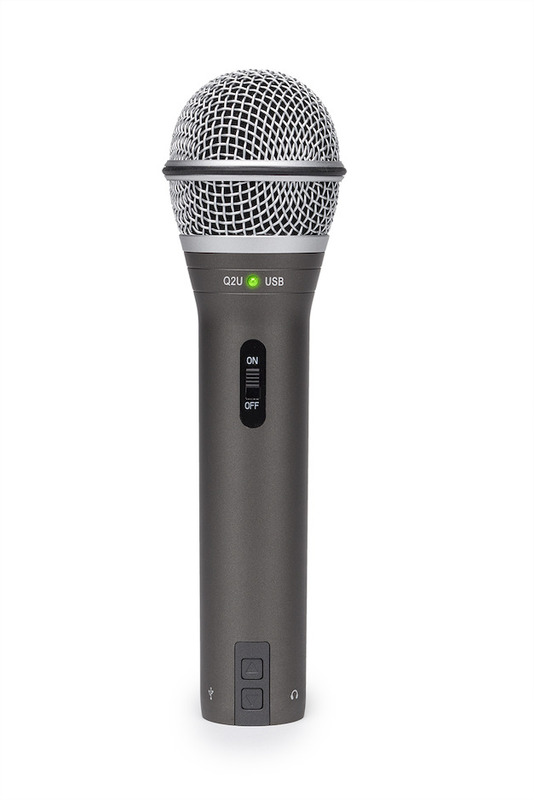 With XLR and USB outputs, the Q2U is the first choice for home/studio and mobile recording, as well as stage performance. 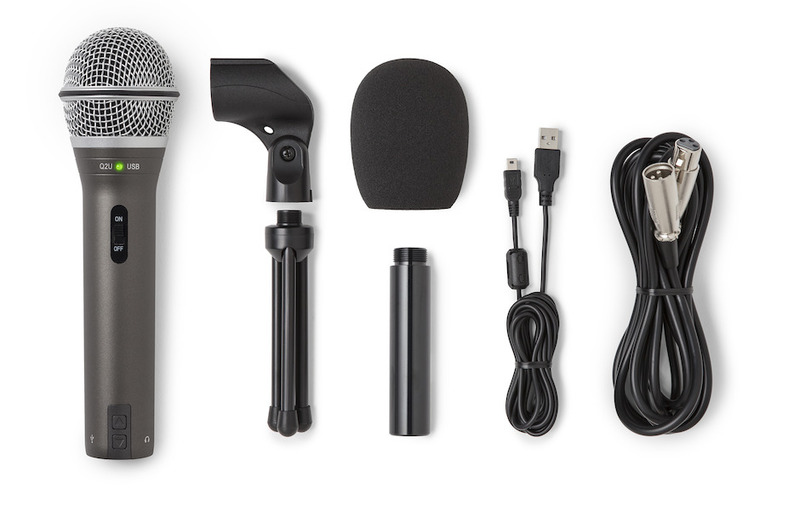 The Q2U is simple to setup and outshines microphones that cost more than twice the price. 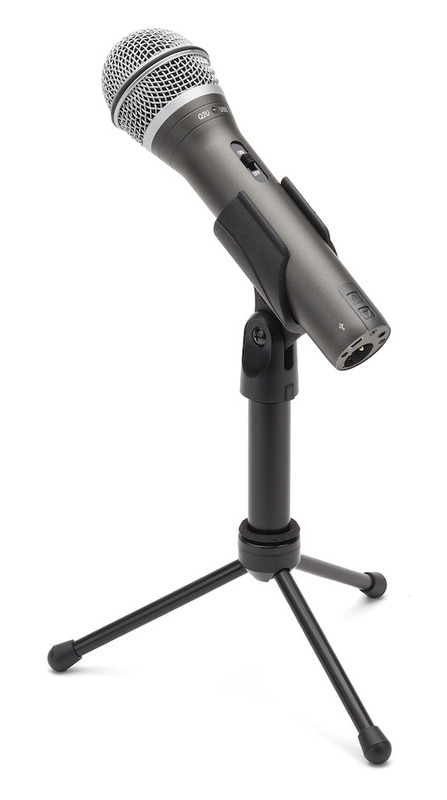 It comes with a mic clip, desktop tripod stand with extension piece, windscreen, XLR cable and USB cable... A package with everything you need to start recording right out of the box. The Q2U is a great mic for home recording. Its dynamic capsule is great for miking vocals, instruments and amplifiers. Onboard, high-quality analog-to-digital converters provide excellent audio reproduction. 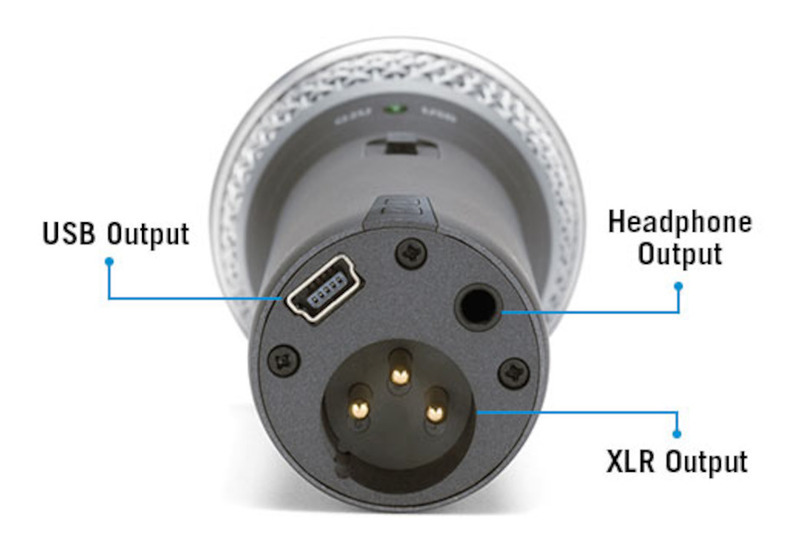 The Q2U's cardioid (unidirectional) polar pattern picks up sound from in front of the mic, while rejecting unwanted sound from the rear and sides. This minimizes the amount of ambient/room noise that is captured on your recordings.